Zetland’s popularity continues to grow as does the impressive infrastructure that supports it. Central, convenient and well maintained, Zetland offers luxury apartment living only 4km from Sydney CBD. Boasting tree-lined streets, world-class cafes and oozing with character, Zetland has fast become one of Sydney’s most sought after suburbs for buyers and investors alike. There is plenty of green space in Zetland, including a number of parks that offer picnic areas, community vegetable gardens and off-leash dog areas. As Zetland continues to be developed, businesses and services are opening on a regular basis to ensure the needs of residents are being met. Locals are spoiled for choice with chic cafes, restaurants and the East Village Shopping Centre – a retail precinct with over 50 stores. A highlight within the centre is the ‘Village Crown’ – a popular pub with a lively atmosphere and delicious menu. Due to its close proximity to Sydney CBD, Zetland is a preferred location for city workers who don’t want to spend their free time commuting to and from work. 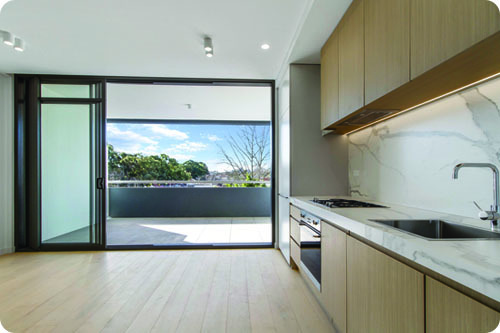 The suburb is well serviced with public transport, a growing network of cycle paths and high frequency buses connect Zetland to CBD, North Sydney and Bondi Junction. If you prefer the train, Green Square Station is within walking distance and just one stop from the city. Zetland is now home to the new Green Square Library – an innovative space that needs to be seen to be believed. Residents are also looking forward to the eagerly anticipated Gunyama Park and Recreational Centre – an urban beach in the heart of Green Square. Zetland locals will enjoy world class swimming facilities on their doorstep – including a gym, yoga deck, indoor/outdoor pools, cafe, creche, barbecues and sports fields.